For our second episode we discuss new release NOBODY'S WATCHING from Argentinian filmmaker Julia Solomonoff. This story of purposeful isolation which complicates creative pursuits not only describes our feeling of starting a new movie podcast after some minor success with a previous show but also inspires just a bit less navelgazing with a discussion on some previous like-minded films. In both Terry Zwigoff's GHOST WORLD and Chrick Rock's TOP FIVE we find lead characters passionate about art but who approach these endeavors with the precision and grace of a sledgehammer. A teenage girl who has just graduated (almost) high school struggles with moving on while still making discoveries in her small town meets a succesfull New York comedian adjusting to being engaged with and commenting on the world sober. Join us as we continue to adjust to this new podcast as we attempt to engage you with current independent cinema by referencing as many movies as we can in 40 minutes! 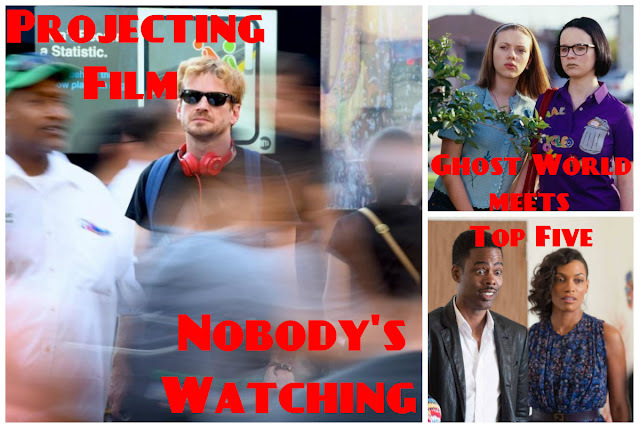 GUEST: Dave Hart of Pop Culture Case Study stops by to give his reaction and projected film to the trailer for NOBODY'S WATCHING. Hint: it's just an excuse to think of Michael Fassbender in the buff.